Starting a new company in Vietnam can create value in many ways. You can access new markets, break through talent shortages in your home country and/or make significant savings to your overheads. Getting the product on the market quicker and/or cheaper can extend your startup runway. This can be ‘make or break’ for a startup! Of course, starting a business in Vietnam can be challenging, especially if you are new to the region. Here is our practical guide to the administrative costs you face. We’ve focused this guide on software development companies or tech startups owned by foreigners. Creating a company in Vietnam is more complex than in countries like the US, Australia or Singapore. Vietnam requires multiple layers of restrictions, verification and review. It may take up to 3 months for the creation of a new foreign-owned company. In practice, much of this time may be required to get the necessary documents. Certain documents will need to be authorized both in your home country and locally in Vietnam. A typical foreign entrepreneur will seek assistance to identify the relevant type of company to register, gather and translate any documents, and engage with authorities throughout the application process. Foreigners also tend to need assistance to open the required bank accounts. Company registration costs depend on the specific type of business you are opening in Vietnam. The Department of Planning and Investment will review your application and will consider the capital necessary for the business to be established. The minimum capital requirements vary depending on the type of business you intend on opening. Some businesses may require licenses to operate. Total costs can vary, but for a foreign entrepreneur seeking a new software development company, assume you’ll incur up to $5,000 USD in fees, with a minimum capital value of $10,000 USD. This capital needs to be settled into a bank account in Vietnam and you can then start using it for company expenses once the registration is complete and local bank accounts have been set up. The location of your office will have a large impact on your total office costs. Office rents in A Grade buildings in the downtown area can surpass $50 USD per meter. However, costs may be 20% of that in outer districts. It can be difficult to find spaces of less than 100 square meters and most commercial leases need a two year commitment. Remember that the quoted price may exclude utilities and management fees. Realistically, a presentable office of 100 square metres can range from $1,000 – $3,000 US per month, plus utilities and management fees. Renovation and fit-out costs would be additional. 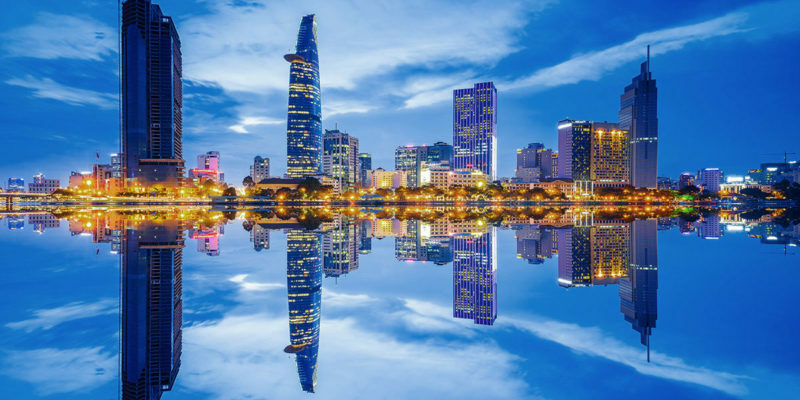 Read more about starting an office in Saigon at our recent article. You may also consider a coworking space as an alternative for your team to begin. Costs for coworking space for a team of 10 run from under $1000 USD per month at Saigon Coworking to almost $4,000 USD per month at We Work. There are many coworking spaces that you may consider. Staff salaries in Vietnam can be considerably lower than other countries. 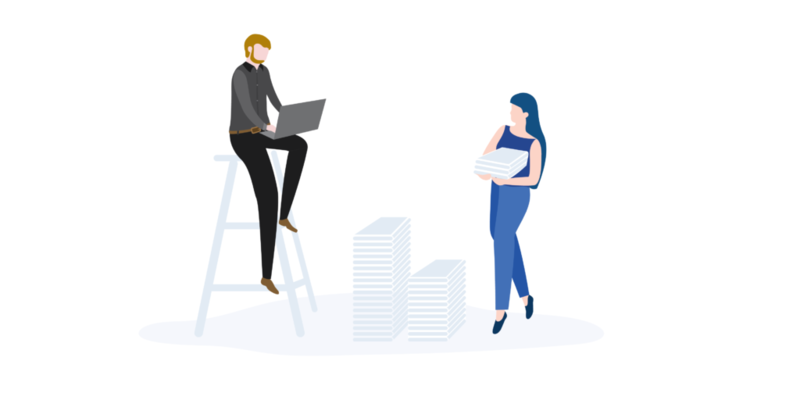 While the expected salaries vary by industry, we’ve recently written a focused review of salaries in the software development industry. Company income tax (CIT): the tax rate is 20% on company profits, but there are some exemptions. For example, software development companies may gain an incentive tax rate and there is discussion of lower tax rates for SMEs. Value Added Tax (VAT): generally assume 10% on most transactions, but the actual rate depends on the product or service your company is using. This can be debited and credited. Business license tax. This is charged right after your company is registered, and then paid on an annual basis thereafter. For a typical small-capital company, the business license tax is 2m VND per year ($85 USD). If you’re purchasing services from a foreign contractor, you will also need to consider Foreign Contractor Tax (FCT). The specific tax rate depends on the service and your company will pay directly to the government on behalf of the foreign contractor. Don’t forget labour taxes paid by employers. Each month, an employer is required to pay several forms of social security related to its employees. Social insurances are 17.5% of their gross monthly salary. A further 3% is charged for health insurance, 1% for unemployment insurance and 2 % for trade unions. See our expanded guide to tax for business in Vietnam. Finally, your employees are also obligated to pay personal income taxes and insurance. These are separate and additional to the labor taxes paid by the employer (mentioned above), but there can be an expectation by employees that the company will also bear the cost of their obligations. Employees will often negotiate on the basis of a net pay. While this attitude is changing, beware of this expectation during salary negotiations. The Vietnamese Accounting Standard requires records and official submissions in Vietnamese. As a result, you’ll almost certainly need a local accountant. A bookkeeping service may be quoted at under $100 per month, but this will cover a minimum number of entries for a simple services-based business, and the support level will be basic (official submissions only). Costs rise for companies with many transactions, requiring live updates or needing advice. Metasource are specialists in starting businesses for foreigners. 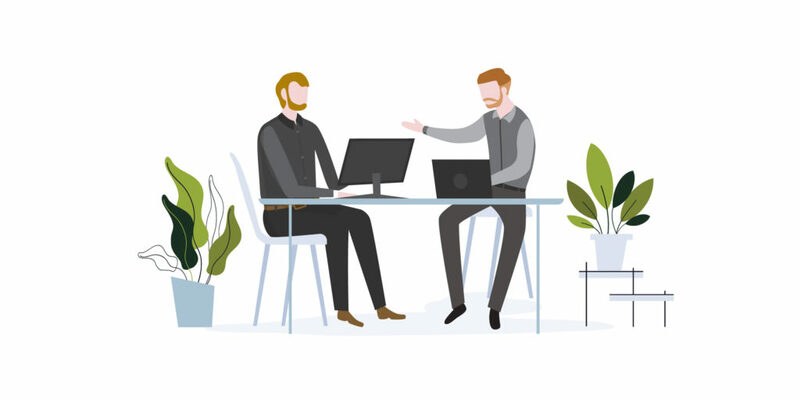 We also offer solutions for remote / offshore teams, where we take care of the administrative hassle and keep you focused on building your killer product or service.